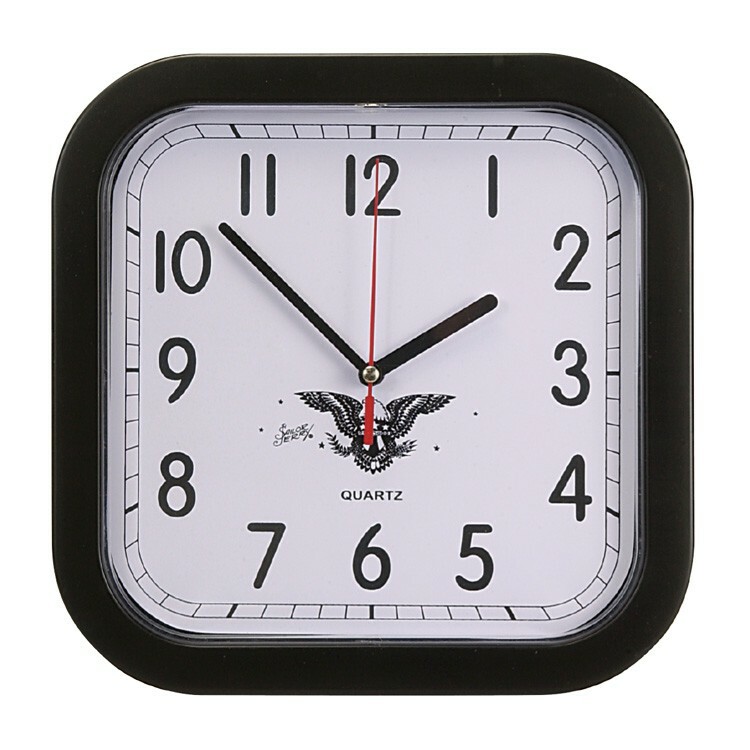 10" plastic wall clock with quartz analog movement. Frosted translucent color frame. Uses 1 AA battery (included). Tell Time By This Lismore Clock. 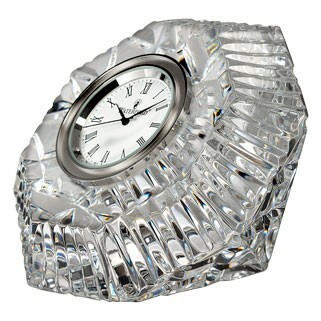 Tell Style By Waterford Elegance. Deeply Patterned With Both Diamond And Wedge Cuts, This Timepiece From Our Most Classic Collection Is The Epitome Of Panache. 4 1/2" High. 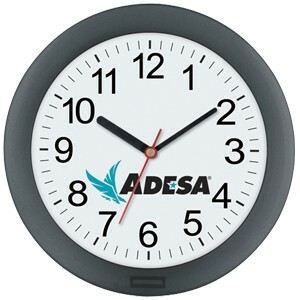 Plastic frame with slim depth and quartz analog movement behind a clear plastic pane. Vivid full color/4 color process imprint on white stock underneath clear cover. 1 AA battery included, not installed. 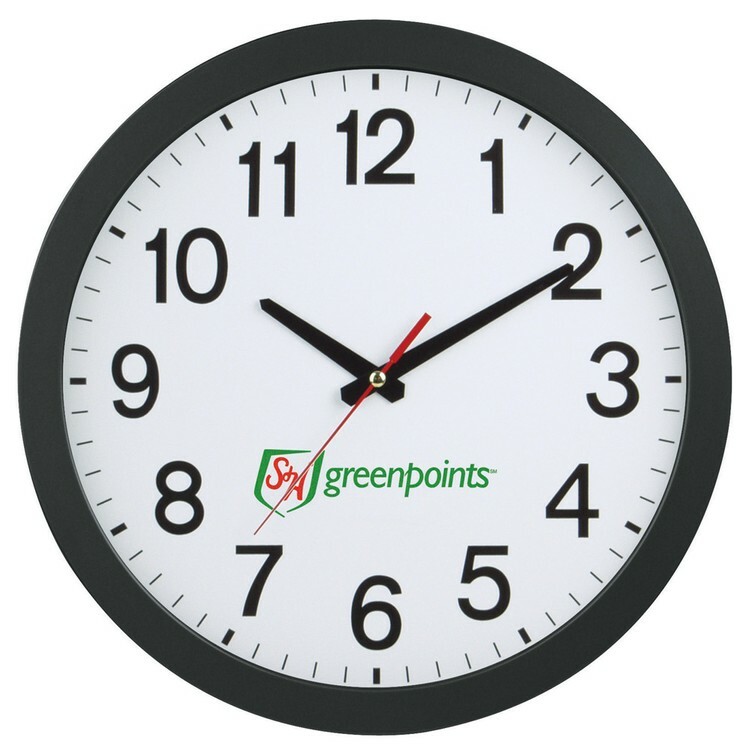 16" plastic wall clock with quartz analog movement. 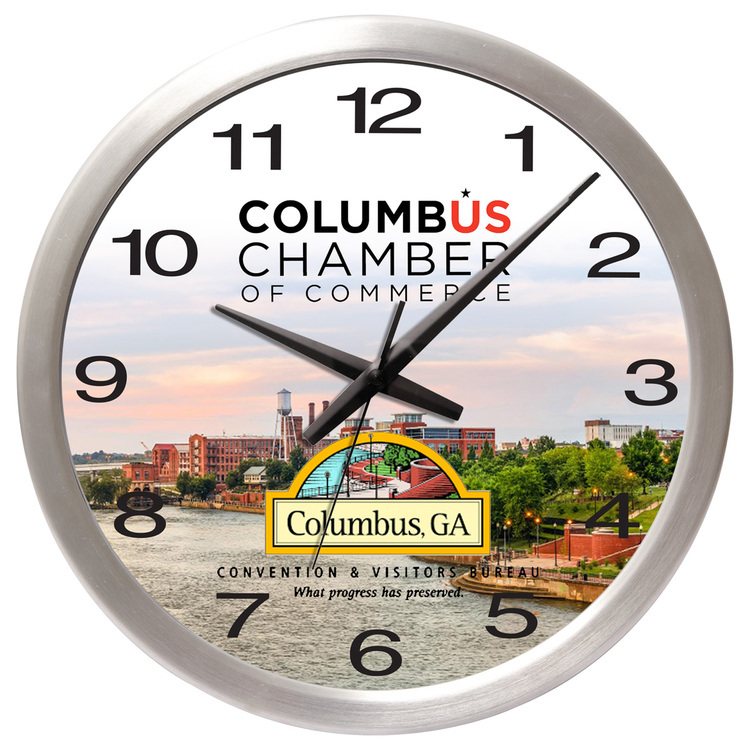 Metallic silver or black plastic frame; slim width for easy hanging. Uses 1 AA battery (included). Packaged in white gift box. 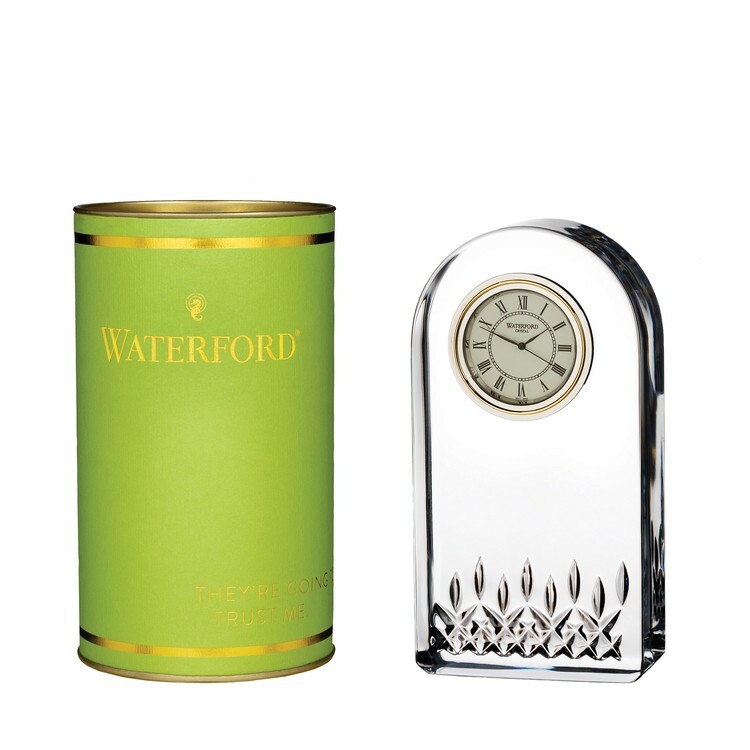 The Waterford Lismore Essence pattern is a stunning combination of brilliance and clarity. 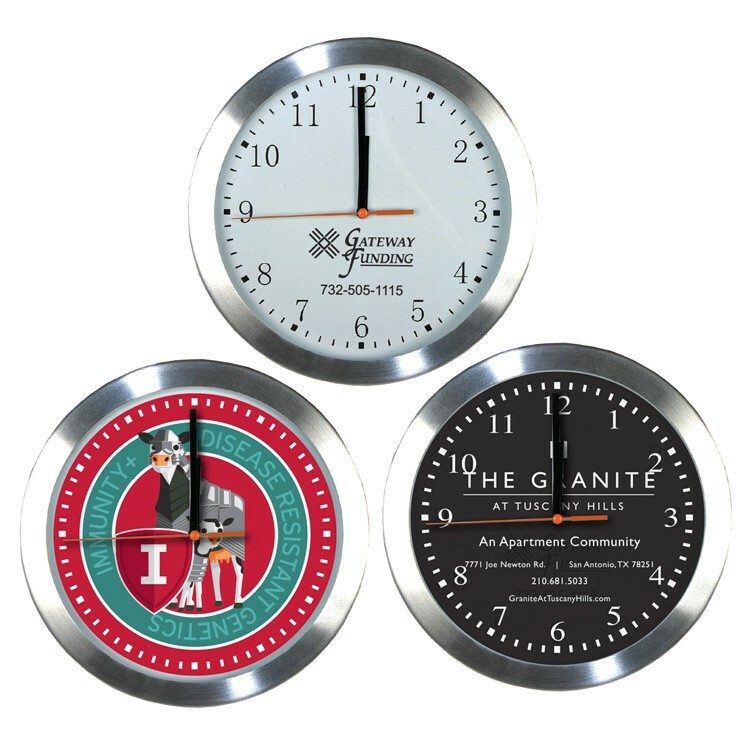 Now your clock can be as sharp as your timekeeping. 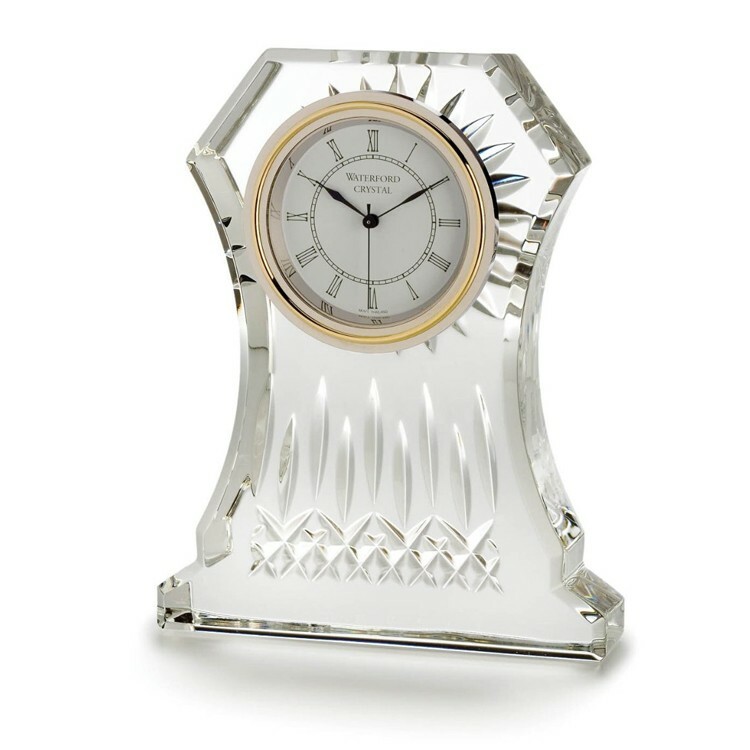 An elegant addition to any mantle or desk, this Lismore Clock features an elegant cream clockface with Roman numerals and brass finish, set in fine, handcrafted crystal intricately detailed with Lismore's signature diamond and wedge cuts.5 1/2"H, 2 3/4" W. Suitable for engraving. 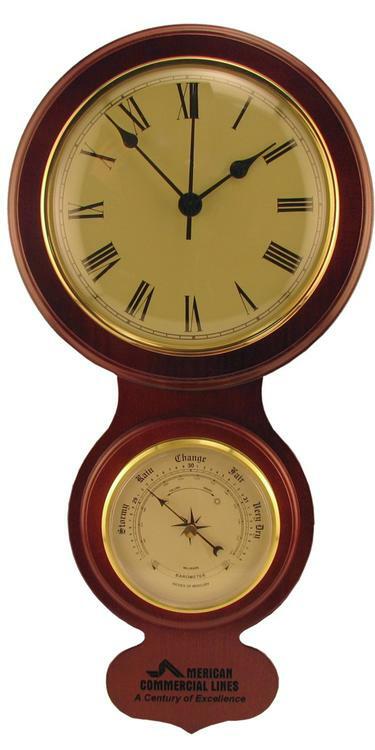 Tell Time By This Lismore Clock. 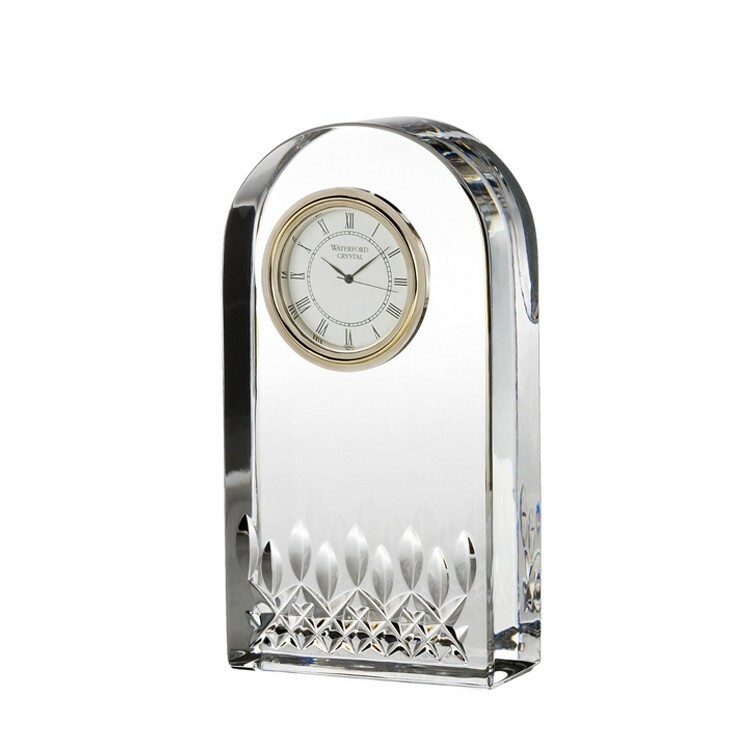 Tell Style By Waterford Elegance. Deeply Patterned With Both Diamond And Wedge Cuts, This Timepiece From Our Most Classic Collection Is The Epitome Of Panache. 6 1/2". Giftology brings together beautiful packaging & unique sentiments to bring you the perfect gift. Each piece is presented in a bright colored package with the appropriate sentiment printed on the outside. "THEY'RE GOING TO LOVE IT, TRUST ME". 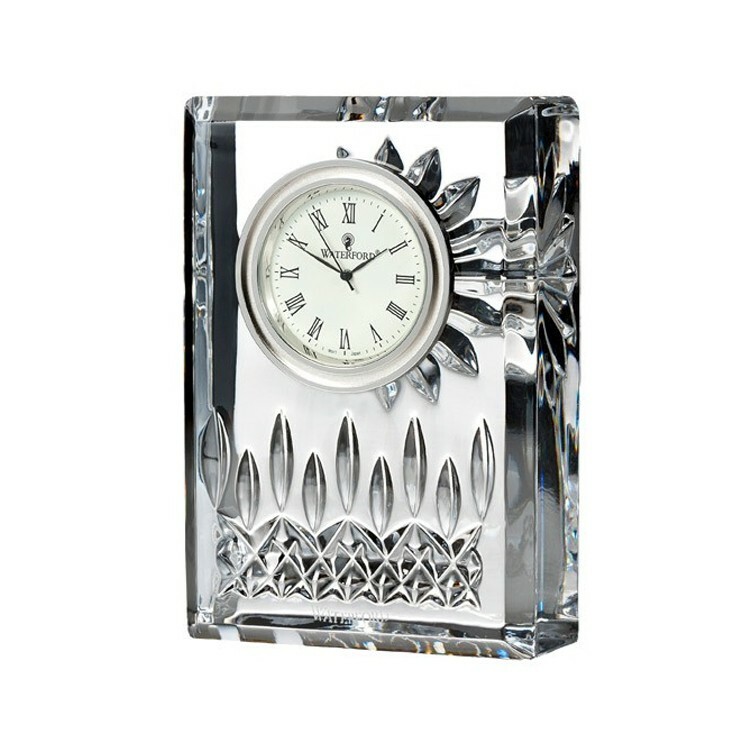 An elegant addition to any mantle or desk, the Lismore 4" Clock features an elegant cream clockface with Roman numerals and brass finish, set in fine, handcrafted crystal intricately detailed with Lismore's signature diamond and wedge cuts. 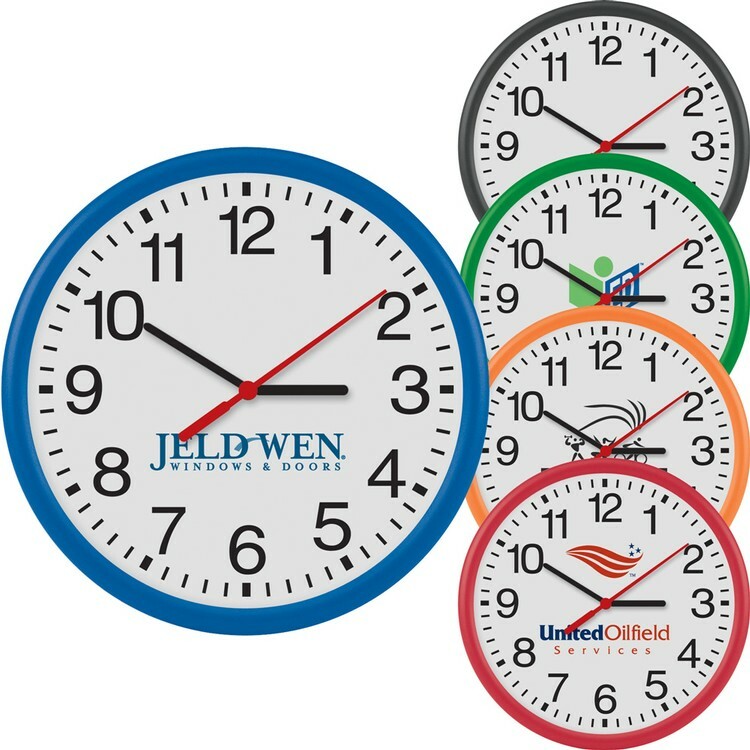 12" plastic wall clock with quartz analog movement; provide billboard-like brand exposure 24/7! 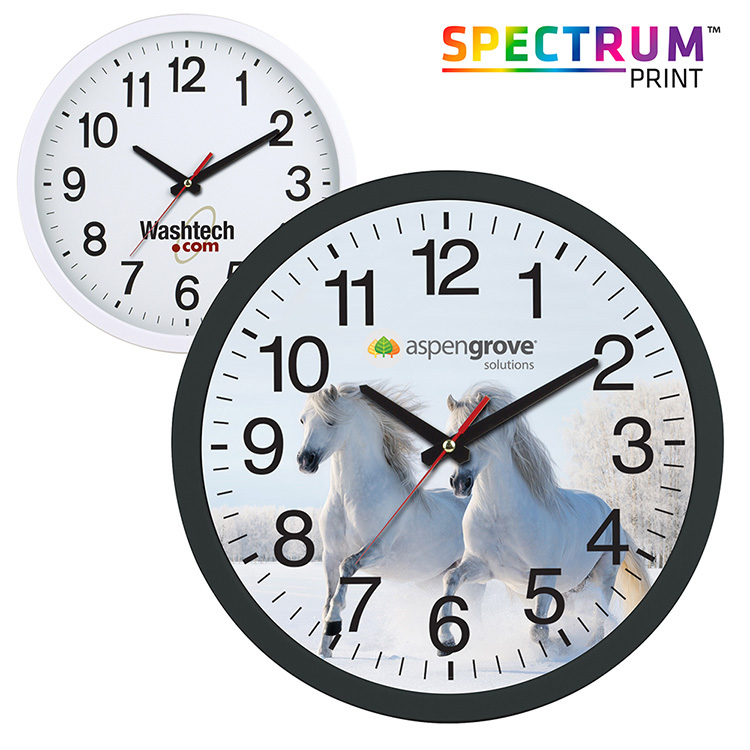 Metallic silver or black plastic frame; slim width for easy hanging. Uses 1 AA battery (included). 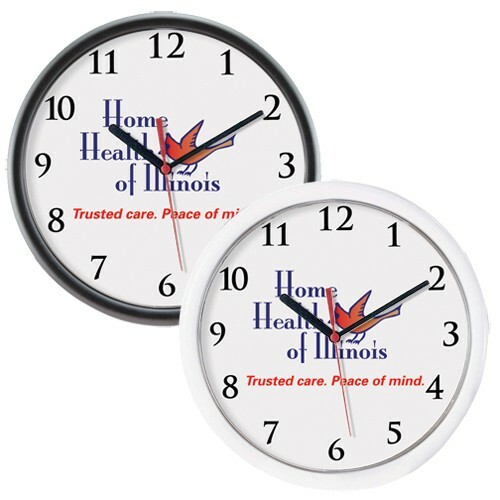 12" diameter metal frame wall clock; provide billboard-like brand exposure 24/7! 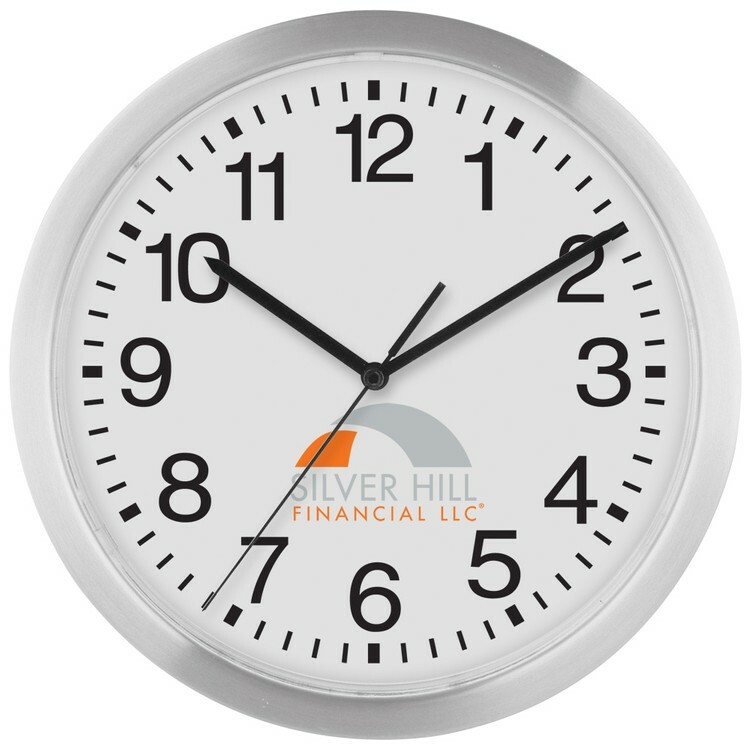 Silver aluminum frame; slim width for easy hanging. Quartz analog movement, uses 1 AA battery (included).